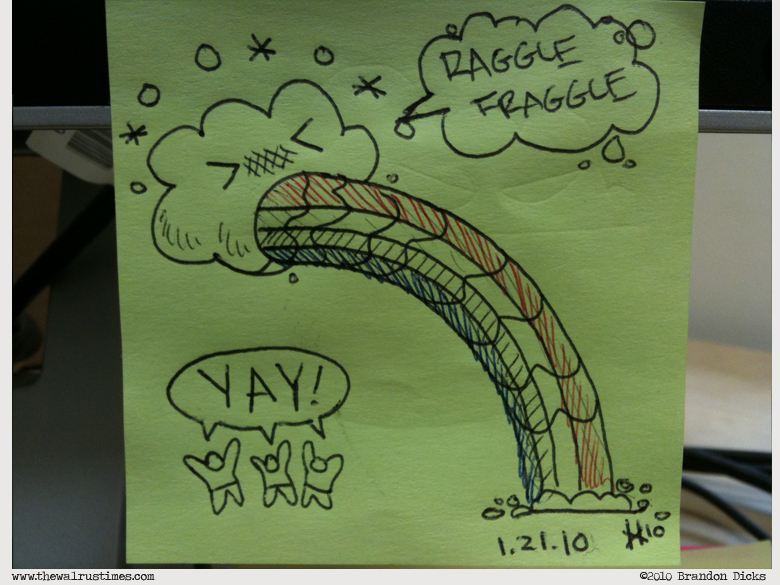 Haha, another old post-it. I liked this guy too. Something about clouds throwing up rainbow’s and peeing on people makes me chuckle. MAKES ME CHUCKLE!